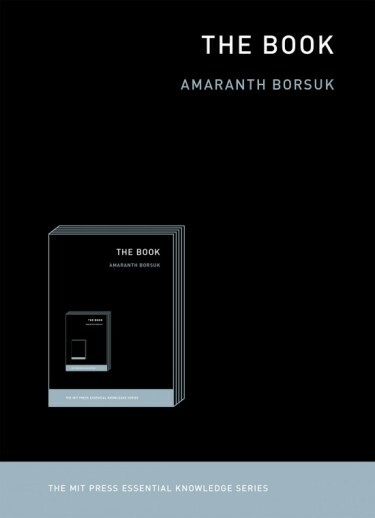 “The Book,” by Amaranth Borsuk, published in 2018 by MIT Press, part of the publisher’s Essential Knowledge series. What is a “book” in the digital age — and what will it become? 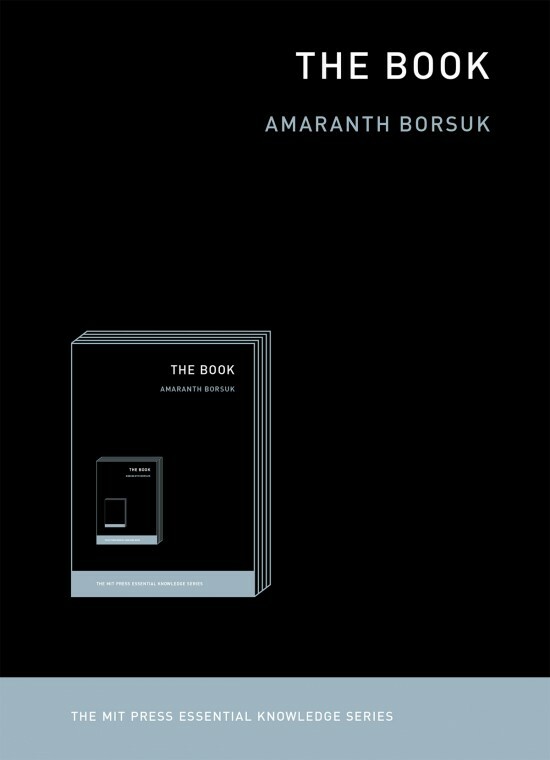 In a new book of her own, Amaranth Borsuk discusses the idea of “the book” through its incarnations as clay tablets, papyrus scrolls and the bound sheets of a codex on to the hyperlinked, multimedia format of the digital age. Borsuk is an assistant professor in UW Bothell School of Interdisciplinary Arts & Sciences and associate director of its masters program in creative writing and poetics. 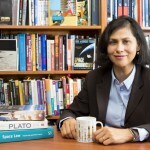 A poet and scholar whose work embraces both print and digital media, she is the author of several books of poetry, including a digital pop-up book. 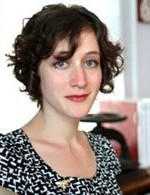 Her latest, “The Book,” was published by MIT Press earlier in 2018. Borsuk answered a few questions about “The Book” — and the nature of the book in general — for UW News. A.B. : It seems that each year a new article is published bemoaning the death of the book. Whether the National Endowment for the Art says people aren’t reading as much as they used to, or pundits are complaining that e-books can’t live up to the physical experience of holding a book in your hands, or readers are shocked to find libraries giving over shelf space to community rooms and public computers, we keep having the same conversation that says physical books are going to disappear. I am immediately skeptical of dichotomies, and the idea that one must choose between print or digital reading devices suggested to me that there is a more nuanced perspective on what a book can be and do. The MIT Press Essential Knowledge series was an ideal platform in which to explore these questions. It offers concise and accessible introductions to big topics in nicely-designed volumes, and it allowed me the freedom I needed to enter the conversation. 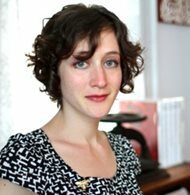 Amaranth Borsuk will discuss “The Shapeshifting Book: From Clay Tablet, to Paper, to Touch Screen,” at UW Bothell’s next Pub Night Talk, at Haynes’ Hall, McMenamins Anderson School, 18607 Bothell Way NE in Bothell. Doors will open at 6 p.m. The event is cosponsored by UW Bothell and McMenamins. Learn more. I come to this book as a scholar, poet and book artist, and I bring to it the perspective of a practitioner who has long been interested in the way a book’s form and content can be put into dialogue. In my creative work over the last decade I have been exploring books at the intersection of print and digital media. The pop-up book you mention above, “Between Page and Screen” (SpringGun Press, 2016), explores the relationship between these two surfaces we are told must be diametrically opposed. Created collaboratively with Brad Bouse, the book contains geometric shapes that can only be deciphered when it is opened before a webcam, causing the poems to leap off the page like a virtual pop-up book. I have continued to explore hybrid books using interactive technologies and physical media, collaborating on “Abra: A Living Text,” an artist’s book with a free iPhone/iPad app, and “Whispering Galleries,” a book you read by gesturing over an infra-red controller. What do you think the future holds for the physical book? I think that physical books will not disappear any time soon because of their utility, affordability, and the ease with which they are transferred from person to person. They meet the needs of particular readers at particular moments, which is why different technologies of the book have had staying power historically. I expect we will continue to see publishers differentiating print from e-book offerings by reveling in the material possibilities of the codex form (a stack of pages bound on one side and enclosed between covers, which is what most of us picture when someone says the word “book”) — books that are visually interesting, complex, colorful and worthy of space on the shelf. We’ll also see increased use of e-books for those volumes that don’t do much with their physical form, including romance novels, essay collections, and other works publishers can easily pour from one medium into another. The book is such a malleable concept it can be difficult to define. So I undertook a project to collect answers to the question, “What is the/a book?” from contemporary artists, writers, scholars, publishers, and librarians. My hope is that these ideas, published at t-h-e-b-o-o-k.com, might give us a better sense of what books can be and do in the twenty-first century. You write, “Content does not simply necessitate its form, but rather writing develops alongside, influences, and is influenced by the technological supports that facilitate its distribution.” What would be an example or two of this? An early example would be the development of clay tablets in Mesopotamia. Sumerians had already developed sophisticated techniques for working with their most readily available material, clay, for their houses and goods when they began to develop the earliest writing support around 3300 BCE, a clay ball with tokens inside whose shapes were pressed into the ball’s surface. These receipts for livestock and other goods gradually lost their round shape as it became clear that the impressions themselves could stand in for the number of sheep or sheaves of grain that had been exchanged — and the tokens were no longer necessary. Those indentations in clay eventually developed into cuneiform writing, which was made possible by both the clay offered up at the confluence of the Tigris and Euphrates rivers (how Mesopotamia got its name) and the reeds that grew there in abundance, offering the first stylus that could be pressed into the tablet’s wet surface to create the wedge-shaped marks for which this early writing is named. With an alphabet comes the ability to record poetry, song and narrative, like the Epic of Gilgamesh, in addition to the more administrative documents for which these interfaces were developed. With the desire to write down stories comes the need for a labeling principle to help readers find the next tablet in a sequence, so a system for that had to be developed too. We continue to see writing both influencing and being influenced by its medium of distribution, whether we are looking at an artist’s book in which the form and content are inextricable or at a comic book designed for iPads that takes advantage of the device’s tilting and movement to create a parallax effect, trigger sound, or otherwise animate the story. What are your own reading habits? For a good pleasure read, do you reach for a Kindle or some dusty old tome? I find myself reading both in print and electronically. On a practical level, I read a lot of contemporary poetry for pleasure, and those volumes still circulate primarily as slim paperbacks and handmade books (because the layout of the text is so important to a poem’s meaning), so I have a large collection of those. I read most of my novels in paperback as well. But it really depends on the occasion. When I am doing research, I love spending time in special collections looking at hand-made books and the occasional “dusty tome,” as well as tracking down scholarly volumes in the stacks. I also use e-books and PDF articles, which allows me to access a wealth of knowledge that is easy to annotate, cite, and organize. I couldn’t do what I do without access to both print and digital media. I have also been a longtime fan of audiobooks, thanks to my parents. As a commuter, I love to listen to short stories (The New Yorker Fiction Podcast is the perfect length for my drive to Bothell.) And as a new parent, I’ve been grateful to find Seattle Public Libraries makes it easy to access both e-books and audiobooks through Overdrive. I’m currently reading “This Accident of Being Lost” by Leanne Betasamosake Simpson. “The process of the book’s adaptation to its readers is not yet over,” you write. You add a hope that your book will “offer a path forward for those interested in shaping the book’s future.” Briefly put, what does that path look like to you? My hope is that writers and publishers alike will remain attentive to the interface through which readers encounter their work. Rather than treating it as something transparent — what 20th century typographer and calligrapher Beatrice Warde called a “crystal goblet” through which we can appreciate the appearance of the wine within — I expect they will approach both the printed book and the e-reader as interfaces that fundamentally influence the experience of reading. The book will continue to mutate, and I think we can embrace its slipperiness. 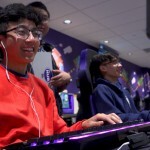 For more information, contact Borsuk at 425-352-5292 or aborsuk@uw.edu.